Well this weekend I thought I’d put it to the test! With a fitbit on my wrist and Ian with a pedometer on his phone in his pocket we hazard a guess at maybe 10,000 steps? How wrong were we! 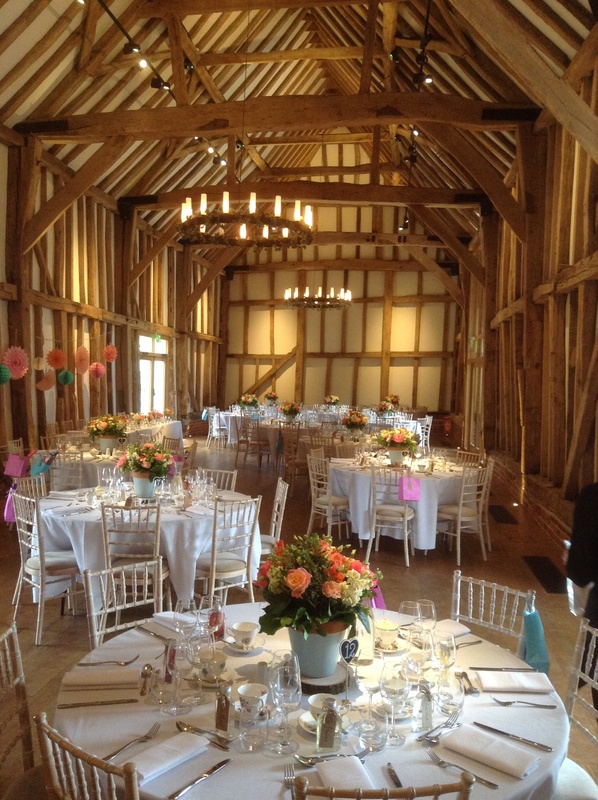 So on Friday team KF set off to the beautifully refurbished Micklefield Hall in Hertfordshire to cater for James & Cassie’s wedding reception. 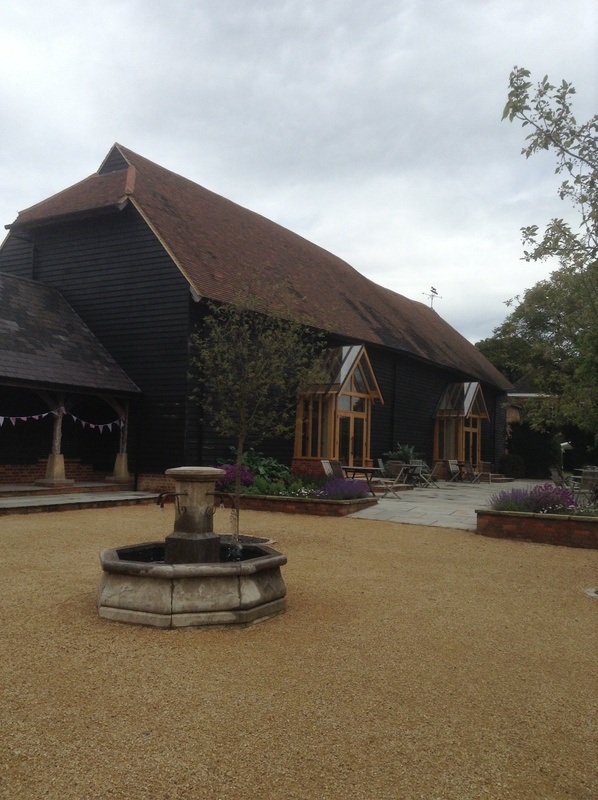 Stunning barn fitted out with all mod cons including climate control and a kitchen my chefs would die for! Even the oven had a self cleaning setting! 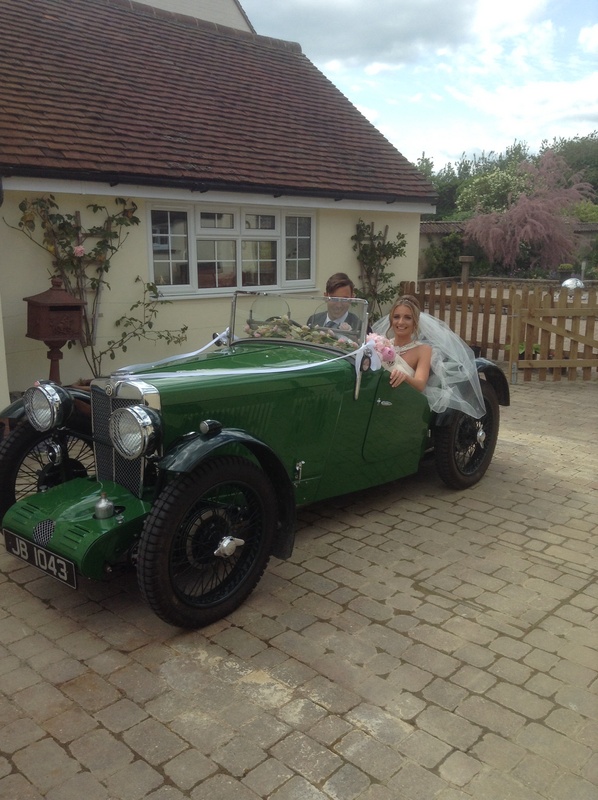 James & Cassie arrived to Pimms, Prosecco and canapés served in the beautiful grounds, the sun came out just as they arrived which gave a lovely backdrop for their photographs. 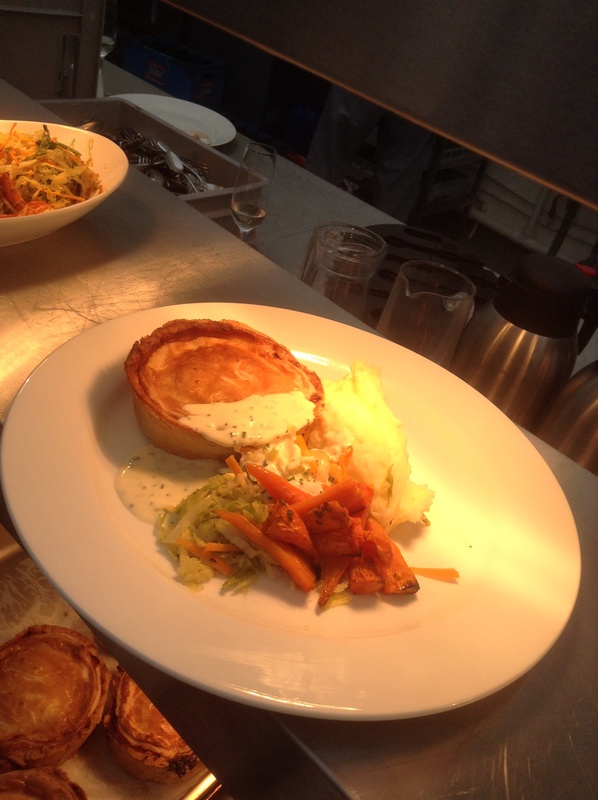 Homemade pies of Chicken, pancetta & leek, served with seasonal veg, mash and white cream sauce were devoured by the guests followed by sticky toffee pudding, salted toffee sauce and clotted cream. All the plates returned almost wiped clean! We even managed to taste Johns culinary delights and gosh they were tasty! The guests partied the night away to a great band, lovely couple, family and friends, great to be part of their special day! Still we kept walking and with the venue running the bar we guessed we wouldn’t be far off our steps estimate. Midnight we checked and were amazed to see we had managed over 15,000! That’s nearly 7 miles! After resting our feet Saturday saw us out early again across to Haddenham near Aylesbury for Steven & Jessica’s reception. With a large Marquee at the end of Steven’s mums garden the layout looked as if we would manage to tip our stepping record! Arriving in a beautiful vintage car, the couple looked stunning as did all of their guests. 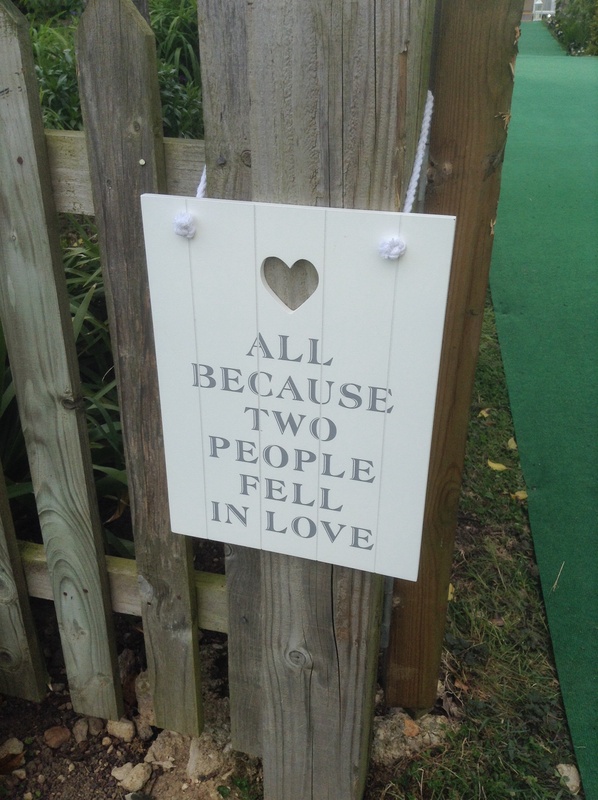 Prosecco, Elderflower Belinis and canapés were served in the beautiful gardens that Val must of spent months working on! 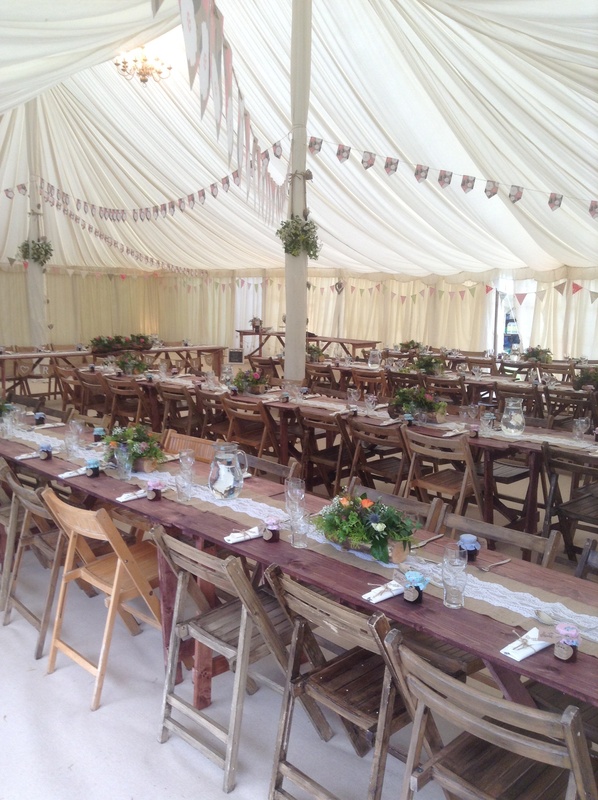 The moved into the main marquee the stated with meze sharing boards, followed by a lovely speech by Jess’s Dad. 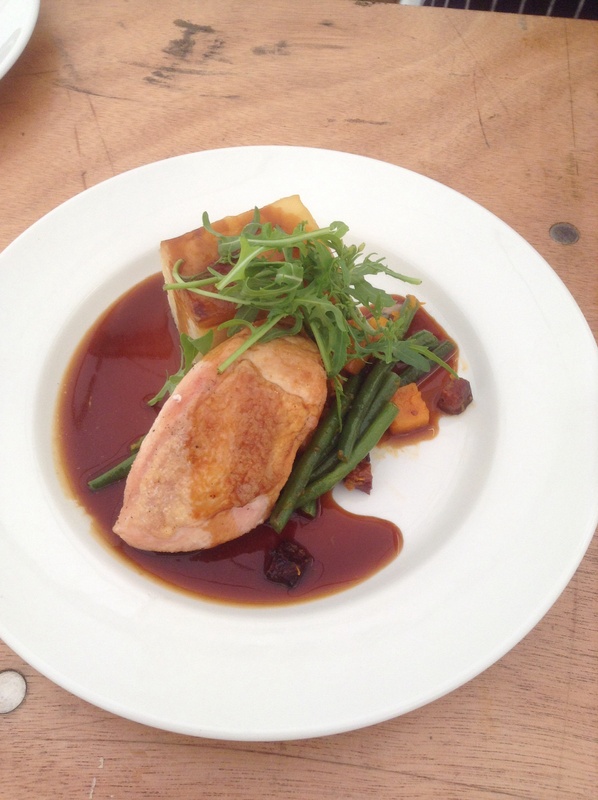 The Prosecco and wine flowed, main course was served of Chicken breast, warm salad of chorizo, green beans, butternut, dauphinoise potatoes and a Madeira jus, another lot of clean plates returned to the kitchen with glowing appreciation of John and his excellent kitchen team! Next, the two best men took to the dance floor for one of the funniest speeches I have heard. 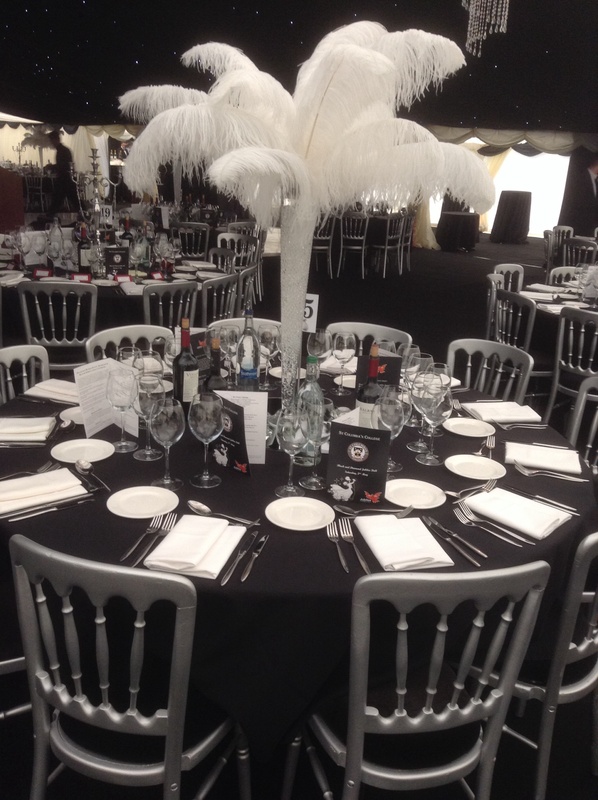 The laughter was electric coming from the marquee! Eton mess, tea & coffee finished the delicious meal. Then Steven gave the most touching speech that left not a dry eye in the house! All my girls wanted to know if they would ever meet a man to marry who would think that much of them! 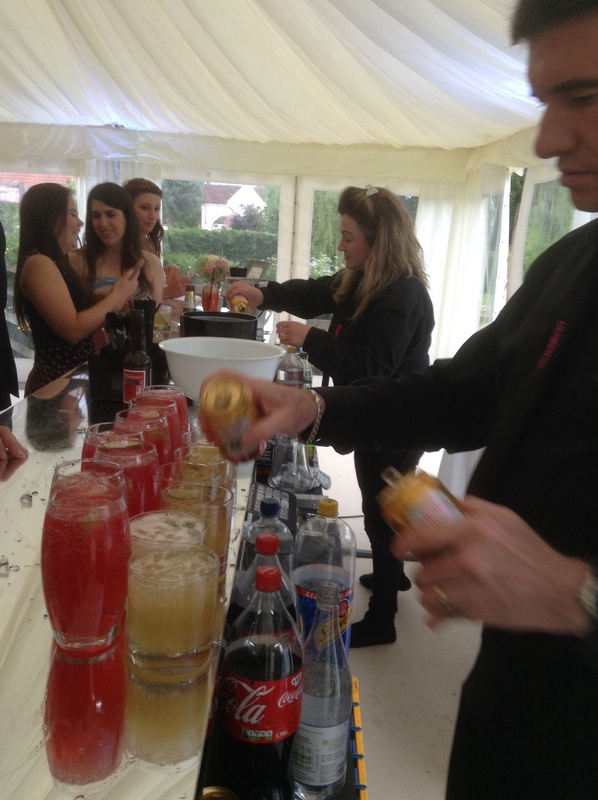 With the bar open and Mark & Katherine working their magic making cocktails we knew it was going to be a busy night! Still we kept stepping, my feet were now telling me we had smashed yesterday record! Great party, great guests and lovely couple rocked the night away, I think we even got involved and had a cheeky dance around the floor! Busy weekend for the team, and hard work, so hats of to my guys and girls! Stepping wise we smashed through 21,000! That over 10 miles! So the question is why are we not all stick thin? Maybe because our food is so delicious, we just can’t resist it! Wedding season has officially started! 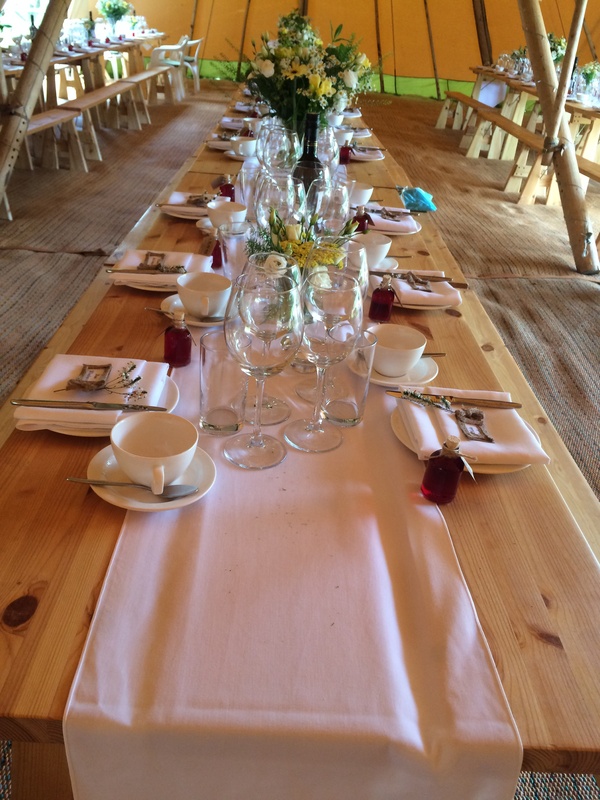 Saturday myself, John and the girls went to cater for Rhian & Will’s reception at Lodge Farm. 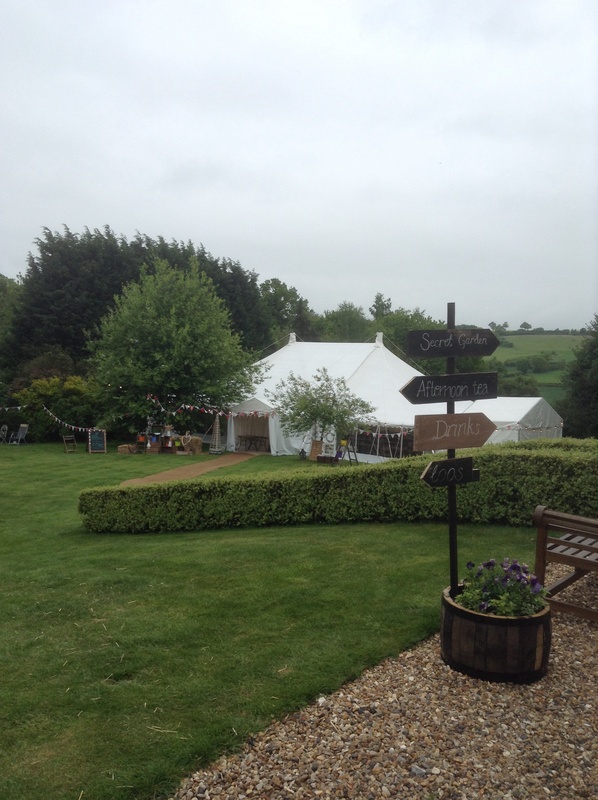 After months of planning, this being our first wedding here, and with more to follow throughout the summer, we wanted to get it spot on and we did, a fantastic day! Pimms reception in front of the house served with finger sandwiches and scones, the guests then made their way into the marquee at the bottom of the garden for a BBQ style meal. Chicken & chorizo kebabs, homemade burgers and sausages all served with sweet potatoes, rocket and pine nut salad and homemade coleslaw. Desserts were provided by friends and family and served by us. 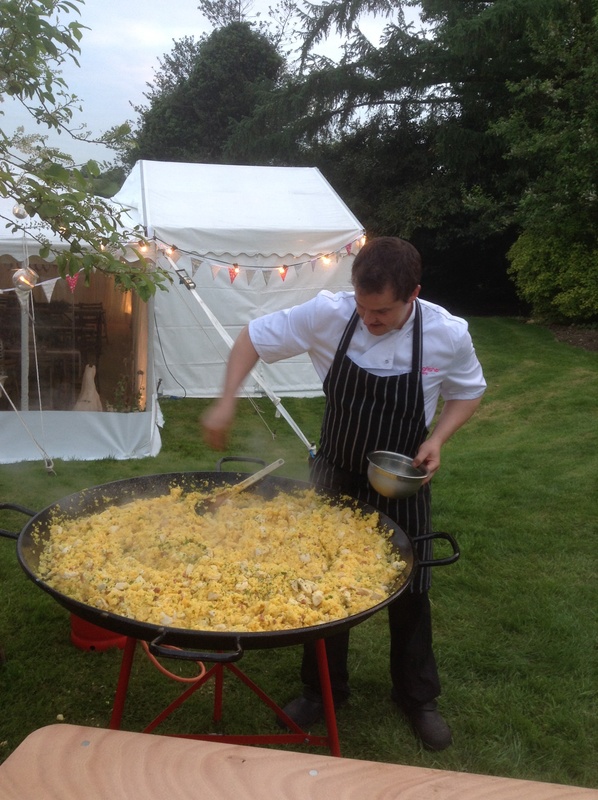 With the bar open, beer flowing and John cooking Paella for 100 guests the evening started to rock! Great band had the dance floor full all evening! 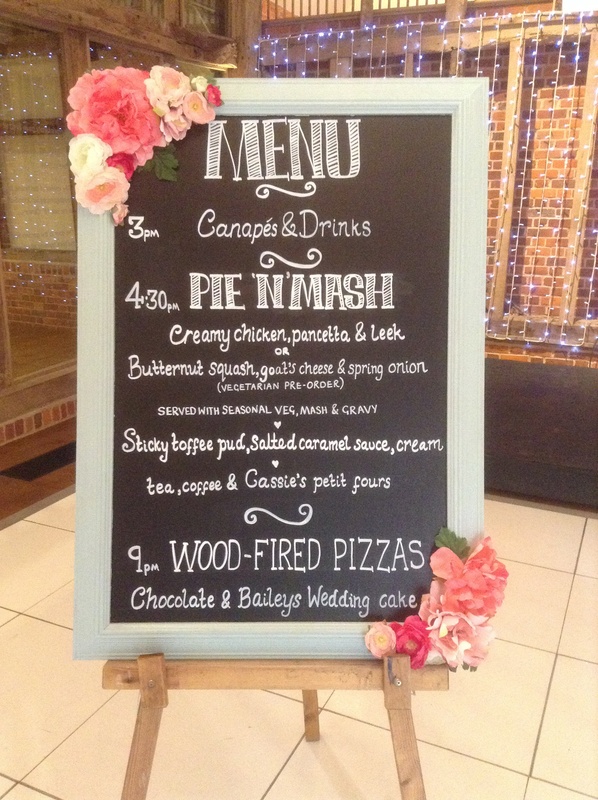 It was a great party and a pleasure to be part of Rhian & Will’s day. 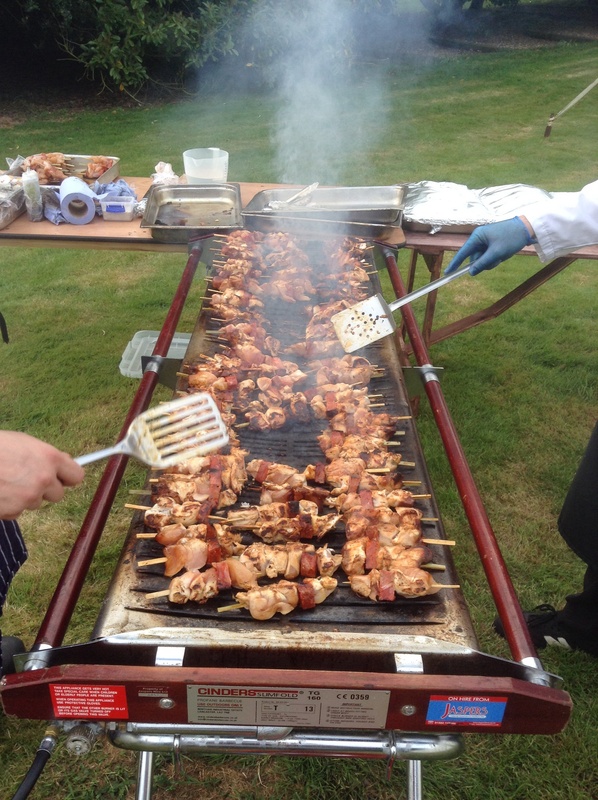 Ian and his team catered for Frances and Peter who had a British fete themed Tipi wedding in the wonderful grounds of a home in Little Chalfont. A maypole with accordion and violin was very popular, along with the coconut shy! 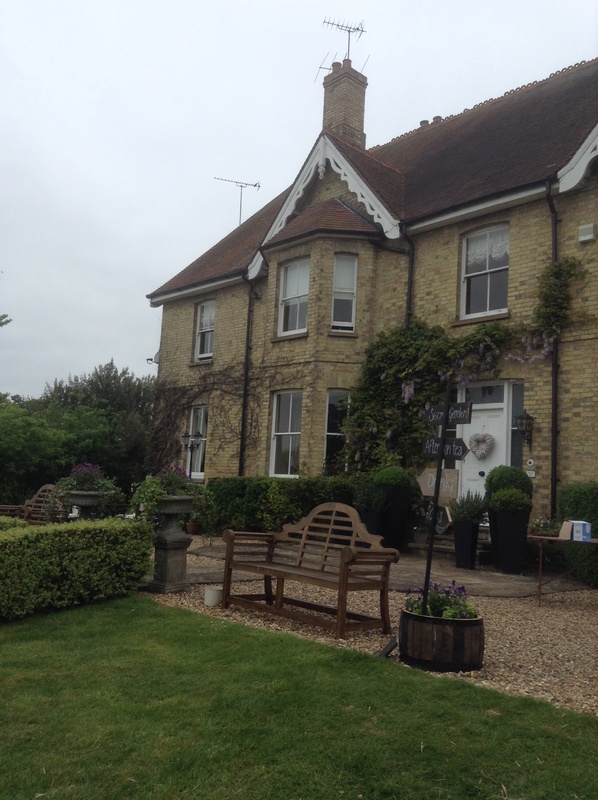 We served traditional afternoon tea for the reception, sandwiches and home made scones with lashings of tea and coffee was enjoyed by family and friends. Speeches, a very quirky first dance choreographed by bride & groom had everyone cheering and clapping, Hog roast and Ceilidhs dancing completed the celebration. Another fantastic day to be part of. 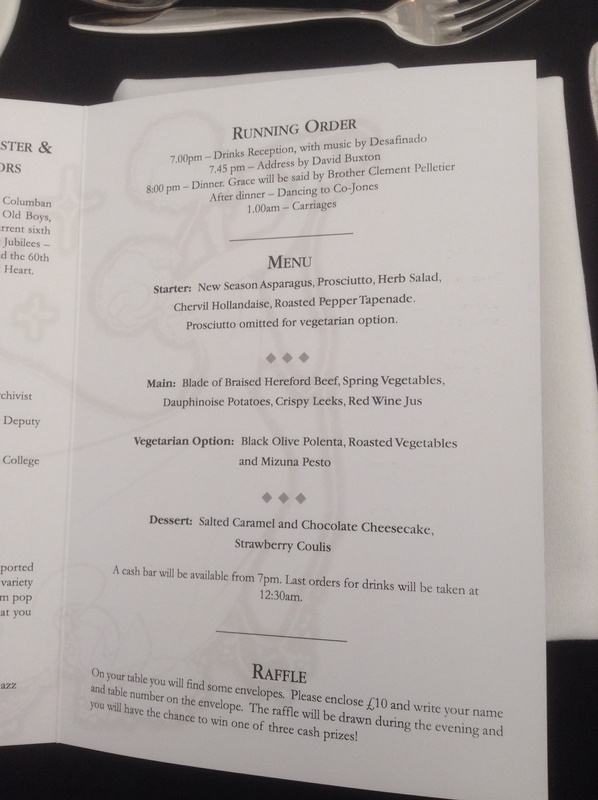 Saturday evening we catered at St Columba’s College for their Black and Diamond a Jubilee Ball. 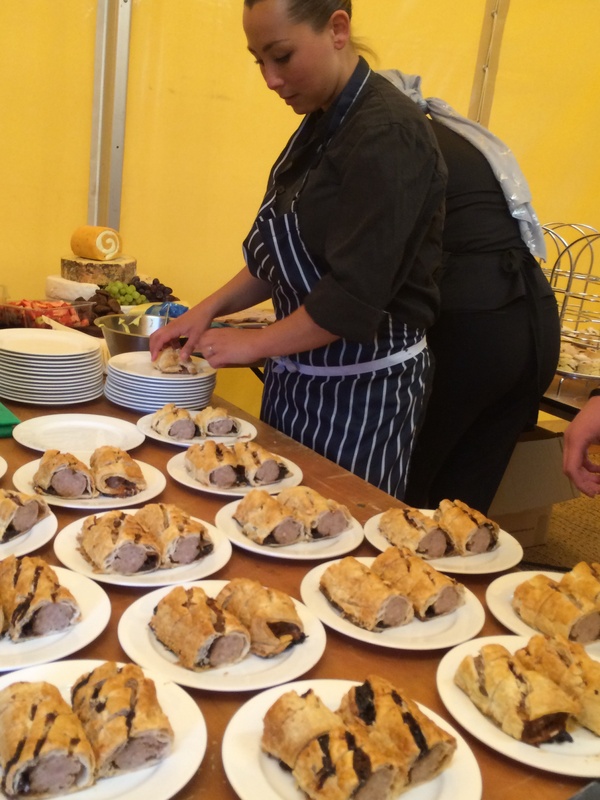 With over 500 guests to feed, and a lot of prep there was the small job of delivering 500 identical plates of food, all cooked to perfection. 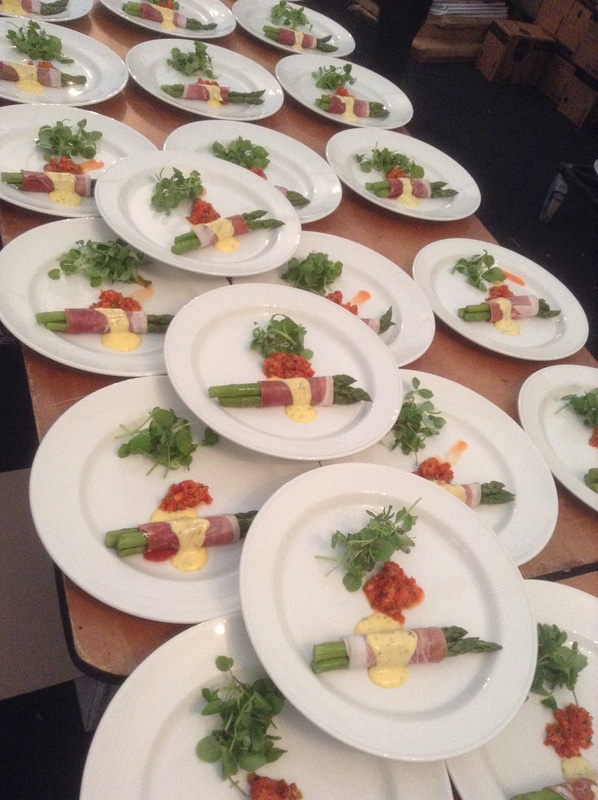 For starters they ate new season asparagus, Proscuitto, herb salad, chervil hollandaise with a roasted pepper tapenade. 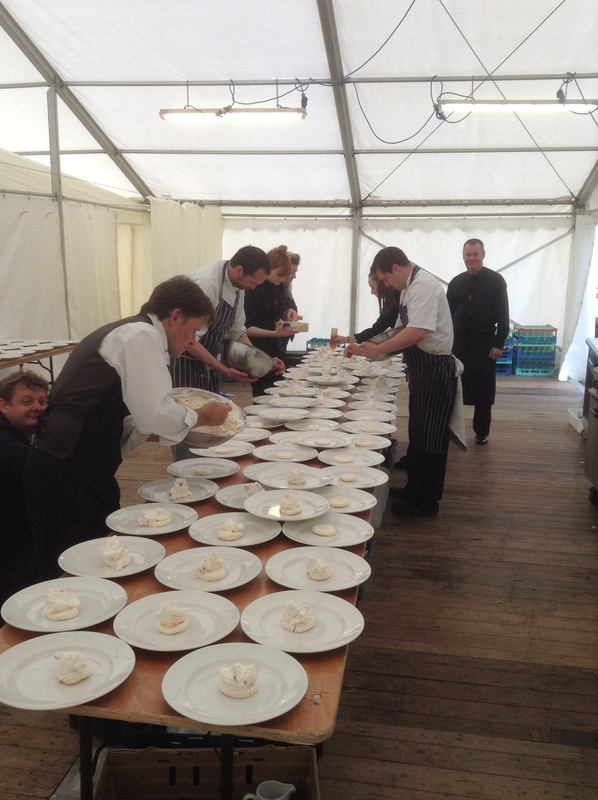 Platting up took 3 chefs and 7 kitchen staff, we were a well rehearsed team, with precision and speed it looked like this. 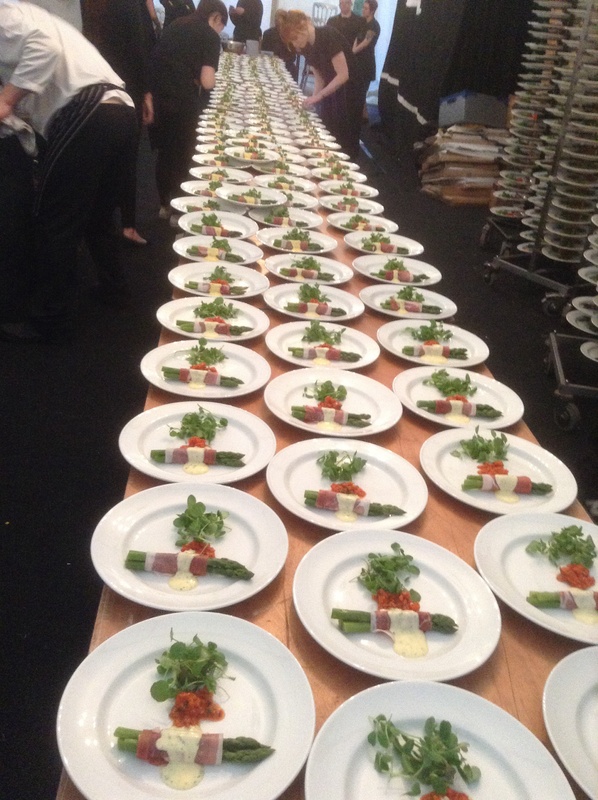 As the waiting staff took this lot we re laid plates out and did it all again! Twice! Onto main course, we laid out three passes, with the waiting staff coming past with their plates, we managed to get the food served very quickly, and most importantly hot! John’s beef smelt and tasted delicious and judging my the clean plates returning, I don’t think I was the only one with that opinion! Desert was a salted caramel and chocolate cheesecake with raspberry coulis, again 500 plates all uniform by our talented chefs and kitchen team. Well done guys, and into next week!